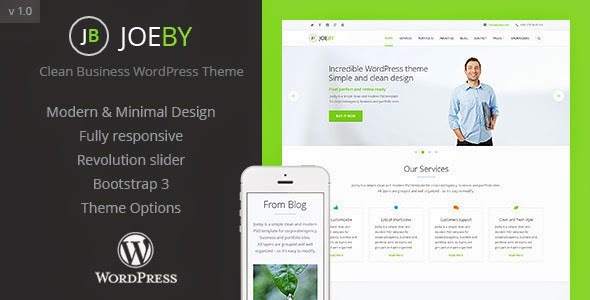 JoeBy is a fully responsive flexible and sleek WordPress theme for corporate/agency, Business and portfolio sites. The layout consists of well-organized components – so it’s easy to modify and customize everything. Minimalist/clean style is well suited to any type of business. Elegant and stylish layout with a focus on clean, subtle design elements. (unlimited color) via color picker! Item Reviewed: JoeBy Clean Business WordPress Theme 9 out of 10 based on 10 ratings. 9 user reviews.